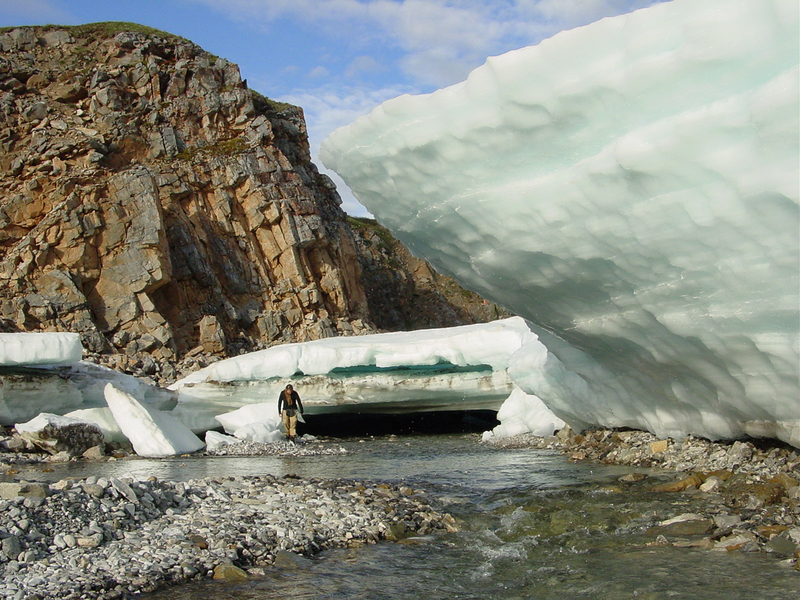 Two scientists’ fascination with the layered ice mounds that build up along Arctic Alaska rivers led to an important discovery — that ice now is melting nearly a month earlier than it did in 2000. Satellite analysis of river icing spots shows a steady advance of earlier melt dates for the large chunks of layered ice that accumulate on riverbeds, according to a newly published study. 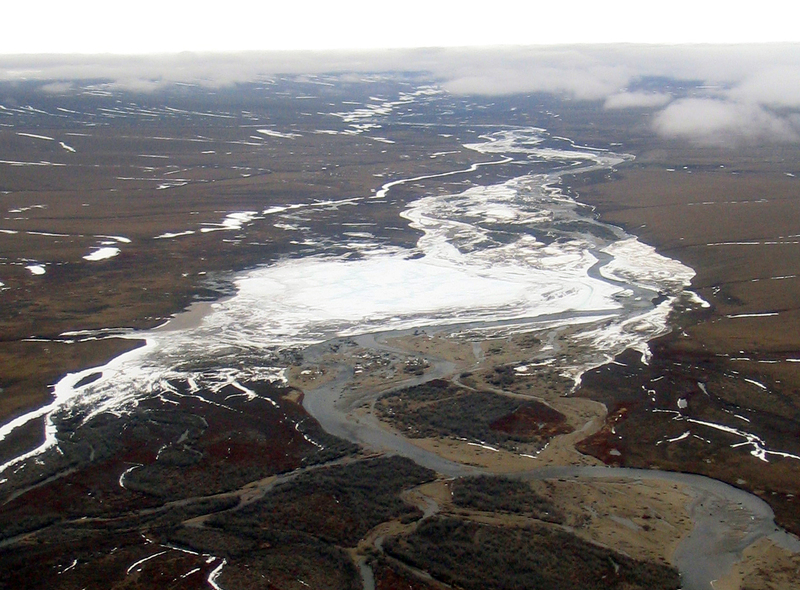 The study, in the journal Geophysical Research Letters, evaluates trends for 147 river icing spots found between the Colville River on Alaska’s North Slope and the Firth River in northern Yukon. In the past, those spots would normally melt out in mid-July. But from 2000 to 2015, the melt date advanced, on average, by 26 days, the study found. Of the 122 ice formations that disappeared entirely, more than half melted out significantly earlier than in 2000, the study found. For the 25 spots that usually had ice persisting through the summers, 14 had significantly smaller minimums by 2015, the study found. By 2015, the end-of-summer total of lingering surface ice in the study area was less than 10 percent of the summer minimum measured in 2000, according to the study. This river icing is different from the typical freeze-up of river water. It is the product of groundwater and spring water seeps that rise up out of riverbeds and freeze in pancake-like layers. Sometimes called “aufeis,” a German word that means “ice on top,” the frozen layers create formations that are typically several feet thick. They can spread as wide as 4 square miles and rise as high as a three-story home. “They’re just spectacular features. They just humble you and make you wonder why they’re here and what they’re doing,” said study co-author Jay Zarnetske, a hydrologist at Michigan State University. 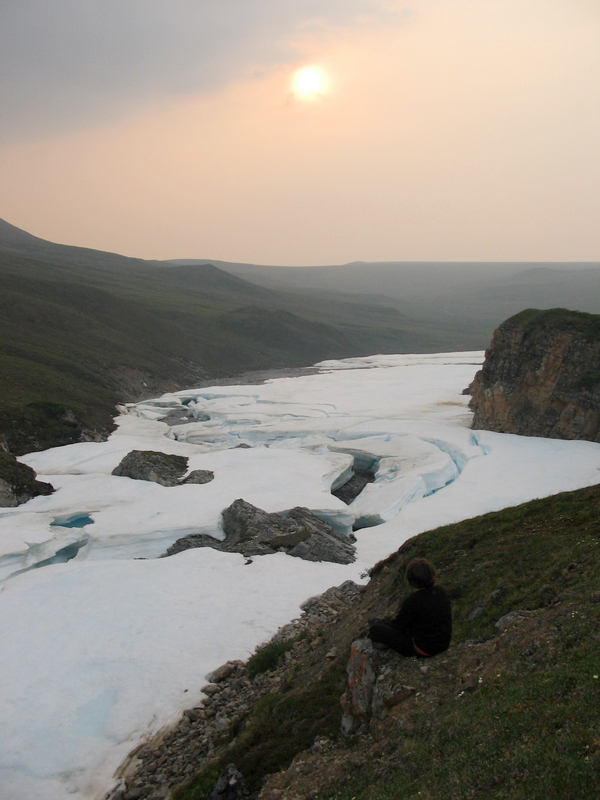 Zarnetske and Tamlin Pavelsky, a University of North Carolina hydrologist and the study’s lead author, launched their research project after being inspired by recreational outings in Arctic Alaska. Zarnetzke’s interest grew out of graduate-student stints a decade ago at Toolik Field Station, a North Slope research facility operated by the University of Alaska Fairbanks. During the day, he worked on permafrost research. “In the evenings, I would go look for interesting places to hike,” he said. He found those places along the rivers. For Pavelsky, the catalyst was a 2013 canoe trip to the Coleen River, a tributary of the Porcupine River in northeastern Alaska. The bush pilot who took the canoeing group to the river, Kirk Sweetsir of Yukon Air Service, talked about the gravel river bars where he liked to land his plane – and how the gravel-packing ice was disappearing much earlier than in the past, Pavelsky said. That change should be studied, the pilot said during the flight. “My scientist antenna just went right up,” Pavelsky said. After his trip, Pavelsky launched the project and contacted Zarnetzke. The two — both with family ties to Alaska — had met years earlier at a University of North Carolina seminar. Their project focuses on sites where it is clear from satellite imagery that the ice formations are the product of water coming from the ground and not from the more common freeze of river water or from accumulated snowpack, Zarnetske said. That avoided confusion, but means that the estimates of melt advance are probably conservative, he said. 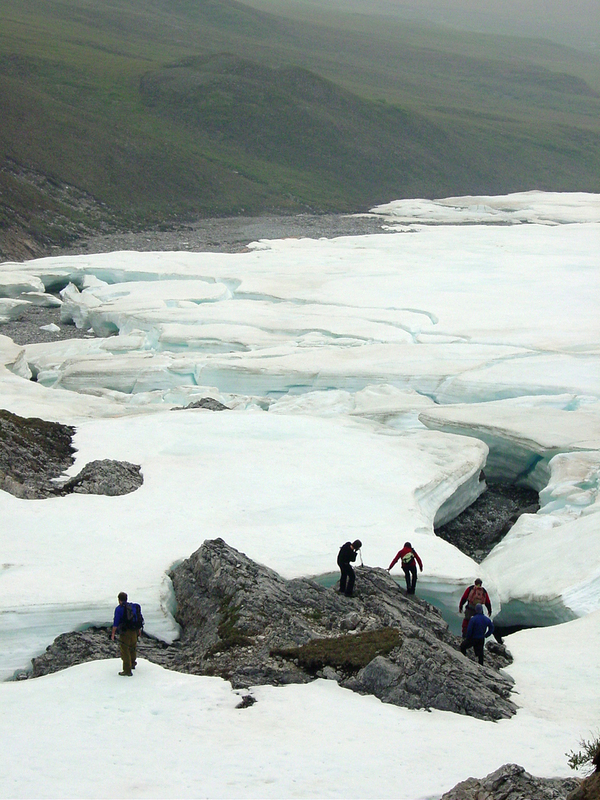 Though the earlier melt of river icing correlates to climate warming, the study does not examine exactly what is causing the change, Pavelsky said. There could be a simple relationship between the warmer temperatures and melt, or there could be a more complex hydrological change cause by climate warming that is altering the relationship between groundwater and rivers, he said. The accelerated loss of this surface ice might affect fish and wildlife, though the exact effects are unclear, the two scientists said. The formations and the packed-down gravel they leave behind are used by caribou and other animals, so changes to them could be important, they said. “They’re so remote and so undisturbed that we just don’t know what the full implications are,” Zarnetske said. Some of those questions are expected to be addressed by new research being conducted by Alex Huryn of the University of Alabama, who is studying how the river sites are ecological oases for certain species, Zarnetske said.